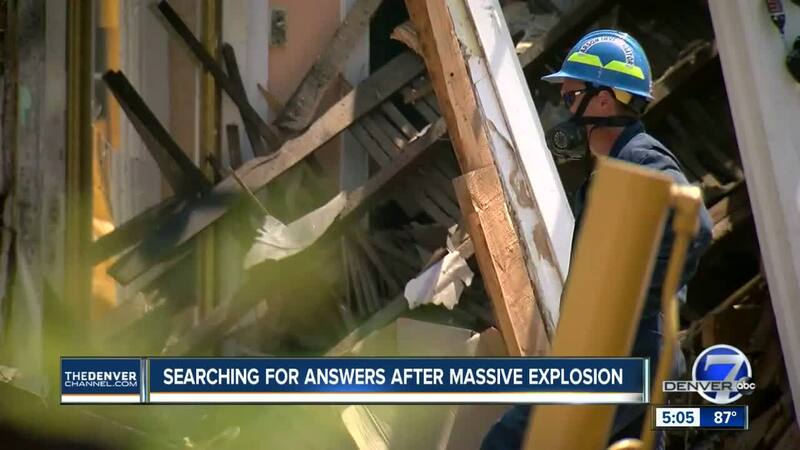 DENVER – As the cleanup continued Wednesday after a natural gas explosion leveled at least one apartment and damaged several others in Denver Tuesday, some of the victims of the explosion are receiving financial and housing help from others. Nine people were injured when the explosion happened at single-story apartment complex on Santa Fe Drive near 4th Ave. Tuesday afternoon. Investigators say they are looking into arson as a possible cause of the explosion but they haven’t made any determinations so far. Agents with the federal Bureau of Alcohol, Tobacco, Firearms and Explosives were at the site Wednesday to help with the investigation. Denver Fire said there were about a dozen agencies involved in the investigation. Heavy construction equipment was brought in to try and dig away the rubble so investigators can try and find the source of the explosion. Of the nine people injured in Tuesday’s blast, two were transported to hospitals by ambulance. One of those people suffered traumatic injuries, a Denver Health spokesperson said. A search of the rubble Tuesday evening that involved cadaver dogs did not turn up any more people. On Wednesday, the American Red Cross said it had already helped four adults and one child who were displaced by the explosion and subsequent collapse. A spokesperson said they expected that number to rise Wednesday as they were receiving more calls from those affected. There are also three verified GoFundMe pages raising money for victims of the explosion, the company confirmed Wednesday. “She has lost everything. Starting from scratch is never an easy task and can be quite the financial burden on an individual. On top of any medical bills she may have to maintain throughout this whole ordeal,” the page says. As of 11:20 a.m., the page had already raised nearly $6,000 of the $10,000 goal. 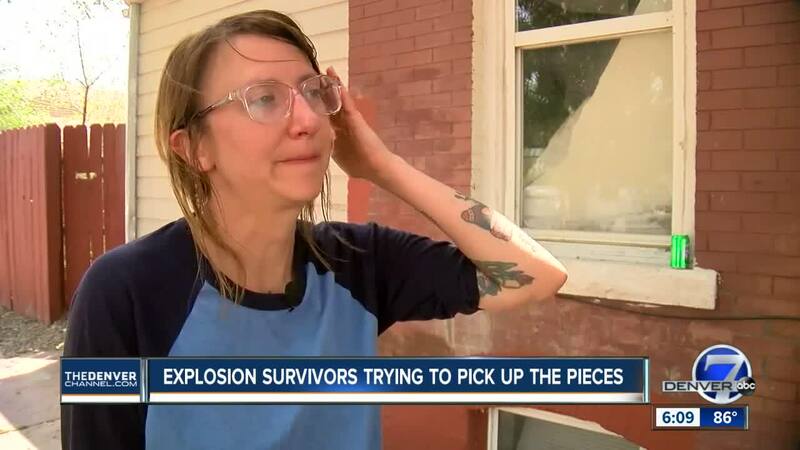 A woman named Elizbaeth Litton who says she is a single mother who “lost everything” in Tuesday’s explosion has a $50,000 goal, of which $1,328 had been raised as of Wednesday morning. There is also a fundraising page for Matt Brady , who had just returned to his apartment but had not gone inside yet when the explosion happened. But his unit was completely destroyed, the page says. “The money raised will go to Matt in order to help him get re-established with a place to live, clothing, and basic home necessities and hopefully help him move forward from this awful event,” the page said. As of Wednesday morning, it had raised $870 toward a $10,000 goal. Northbound Santa Fe remained closed between 3rd and 4th avenues Wednesday as the Denver Fire and ATF investigation continues, police said Wednesday .